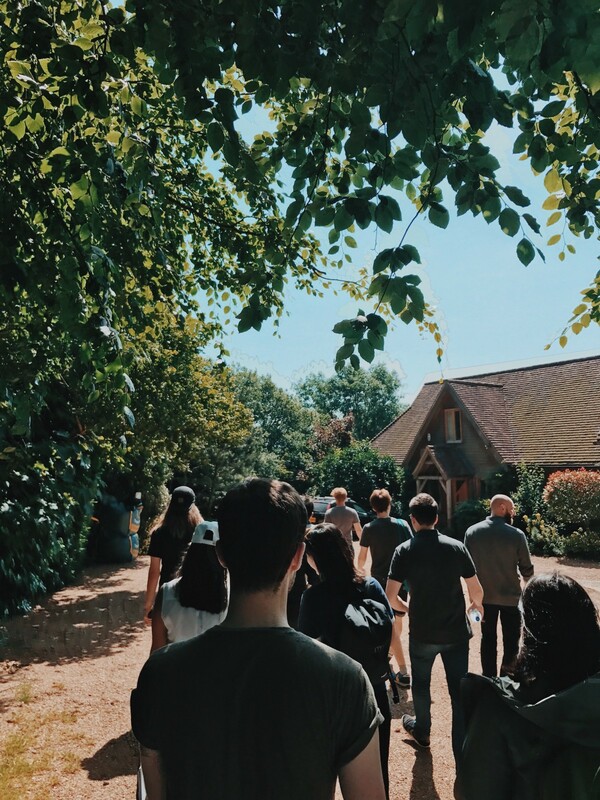 This past summer, the Deliveroo design team checked into a country house in the beautiful village of Flimwell, East Sussex, for a two day offsite. 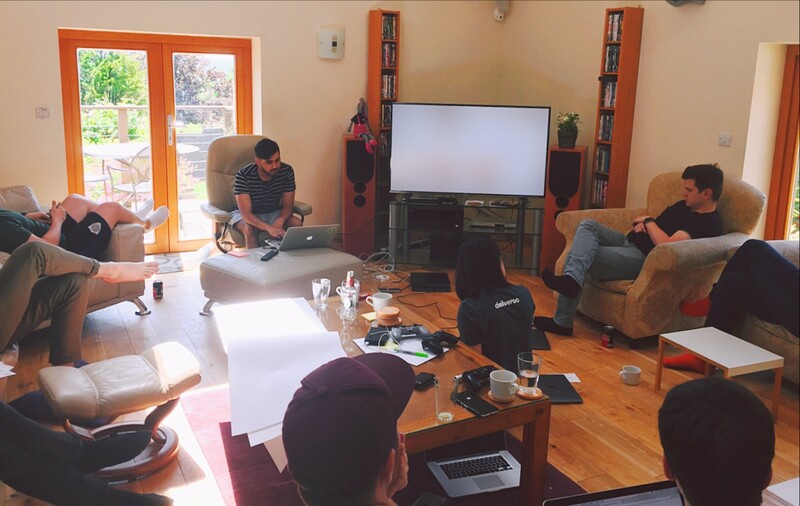 As the team has grown rapidly in the past few months, and with the designers being embedded within product teams, we felt the need to get the team together. Our aim was to work on aligning what the future of design looks like across all the product surfaces at Deliveroo. After settling in to the country house, Simon, head of design, set the context about the goal for the offsite and what we hoped to accomplish by the end of it. We started and ended both days together as a team, splitting up into three groups during the day depending on which area designers were working with. Each session started with context setting for the whole team. We then split up into our different groups with a strict deadline of 90 minutes per sessions. Each day ended with the team sharing reflections, insights and new learnings, before a collective cooking session. We are a foodie company, after all! As we’ve grown rapidly, it’s been a struggle to maintain a consistent and world-class visual language for our users across multiple platforms. This is why we chose to focus purely on creating a shared understanding and foundation for our UI. Day 1 started with a tear down of inconsistencies and anomalies within our consumer products, allowing everyone to discuss where and why they exist, as well as how impactful they are on the user’s experience. We weren’t intent on fixing everything in a weekend; rather we came out of this session with a better common understanding of our UI across all silos of the consumer product. After this, we created a few principles centred around UI. These weren’t specific rules for components but were more conceptual. A principle could be as simple as “Always look for a moment of delight” or “Don’t let motion be a burden”. Day 2 was taking the newly formed UI principles and applying them to our existing consumer products. We each took an area of the product to explore and started sketching, designing and prototyping. After a couple of hours we did a quick show and tell to the whole group which gave us the opportunity to provide feedback early and build upon each others ideas and executions. We settled on UI patterns, themes and execution that we really liked. We shared these to the rest of the team and got excited over the things to come! Over the two days we created some really solid principles which we can keep using in our work. But more than that, the team of eight of us all got time together to riff on, swap and explore each other’s work — paving the way for more collaboration, more consistency and just a better experience for hungry people in the future. Day to day we’re all embedded in product teams, so true cross-team collaboration can be hard to orchestrate. It’s amazing how much we got done in about four hours of designing together off site. The Delivery design team explored different themes with a focus on what the ecosystem looks like going forward. As a rapidly growing team working at pace over a large, dynamic landscape, it was important for us to really understand and steer what we’ll be designing towards. Before the offsite, we had defined a number of key challenges that we will face over the next six months and beyond as a business. Themed and phrased as specifically design challenges, we dived into these with a collaborative design session with both delivery designers and restaurant designers. For each exercise, we had an intro and review of the theme and then 15 minutes of sketching on our own, exploring as many ideas as we could. We shared and reviewed our sketches, highlighted key themes and areas to explore, then did more focused sketching, with an emphasis on distilling, refining and remixing. As a group, we selected key ideas and spent the next 50 minutes implementing them in high fidelity. It was great for the team to work through problems together, share understanding and go wild exploring ideas to inspire, guide and influence future work. In the course of doing so, we were also able to refine and further distil our design principles. It was also a good reminder to support each other; we’re all in the same team solving these problems together. 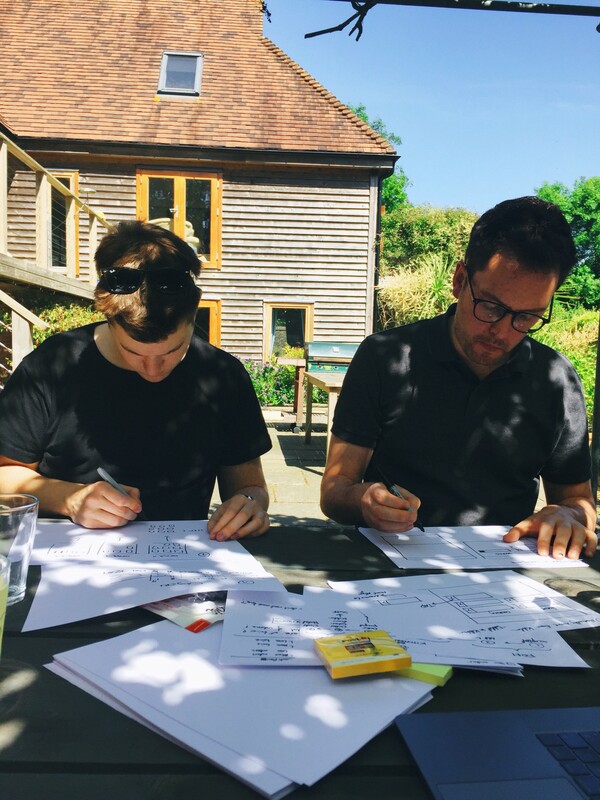 The restaurant design team only formed recently, hence the goal for two days was to focus on laying the foundations, auditing existing work, discussing strategies and looking into the future for opportunities. Day 1 was dedicated to the Deliveroo Restaurant Order Management System. Since this work in tight overlap with our rider tools, we paired up with the Delivery designers. We identified overlaps, opportunities and the current status. We then dived deep into the Order Management System — focusing on three largest user problems and completing individual timed fat marker sketches around each problem. We ended the day by sharing these, which led to some philosophical discussions. Day 2 was dedicated to future thinking work. We started by defining principles to come back to when designing products for restaurants and creating a state of service blueprint in order to identify unmet needs. We then voted on the top three unmet needs and sketched ideas individually before sharing and turning them into higher fidelity mocks. 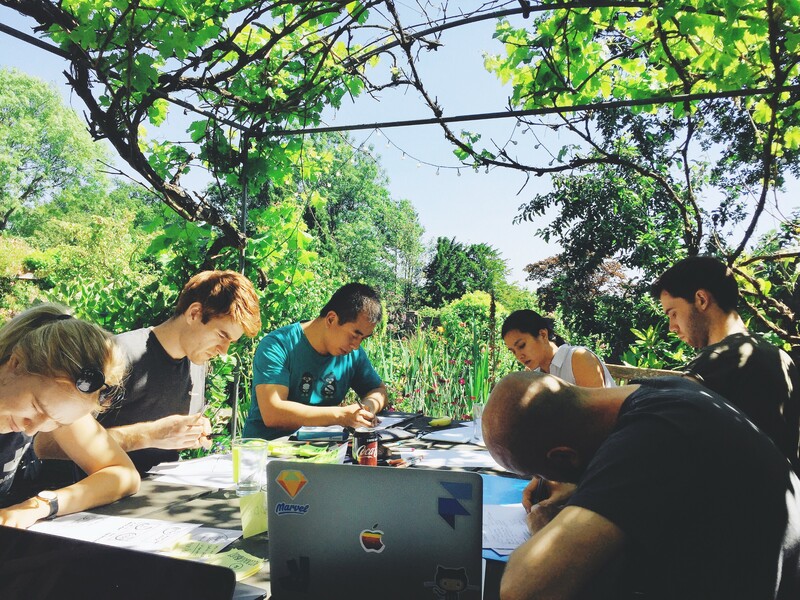 Having had some dedicated time, the team came away with clear foundations and opportunity spaces for the team to build on and go explore with the rest of the teams on return from the offsite. Communicate goals with the rest of the company: Taking all the designers away for two whole days is not easy and can have a tangible impact on the teams they are embedded in. It’s imperative to communicate the goals and needs to the rest of the company far enough in advance so they buy into it, have clear expectations on the outcomes and can plan accordingly. Start with the context: We were very conscious of the fact that we wanted the team to be away from the office to disconnect from the day-to-day activities — to balance the disconnection afforded by a different location we made sure both the days started with context setting exercises. Start and end the day with the whole team: As the activities varied for each group, most of the day was spent in our individual groups thinking deeply about specific problem spaces. Because of this we made sure to bookend the day with knowledge sharing with the whole design team. Decide what type of brainstorm is right for your team: There are a lot of brainstorm methodologies that can be used. At first we thought we would have exercises and outputs that were uniform across all three groups. But as we planned, we made more deliberate choices around the type of brainstorms we wanted for each team, as the goals and stages of the team were unique to their circumstances. Find opportunities for cross team collaboration: Since the designers spend most of the time in organisational structures and embedded teams, we made sure to look for opportunities and exercises to enable more fluid movement between the groups during the two days. 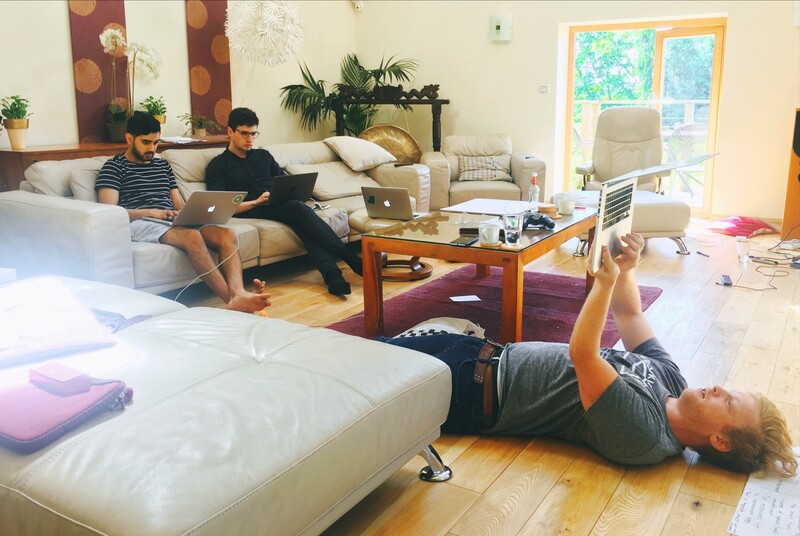 Provide a window into the activities for other interested parties: The reason we went offsite was to disconnect from the practicalities of day to day work life, but not to disconnect from the product teams themselves. To this end, we created a public Slack channel open to everyone in the company, and posted workin progress photos and mocks so any and all interested people could join the channel, keep up and comment on what we were working on. This also had the handy side effect of forcing us to take more photos to document the work. Always be documenting: The Slack channel was just one way to make sure we were all documenting all the ideas discussed. We knew that when in flow, documentation can sometimes be an afterthought or forgotten, so we made sure to keep the last 15–20 minutes of each exercise exclusively for documenting all the thoughts/ideas discussed and organising the documentation that was done in the moment. Build in the social: Finally, while having dedicated time to focus and churn out ideas can be exhilarating, it can also mean a lot more concentrated work, thinking and exhaustion at the end of the day. We decided to set clear end points to each of the days and coordinated breaks amongst all three groups to afford time for everyone to play some games, hangout, chat, talk about ideas, and to have meals together as one big team.